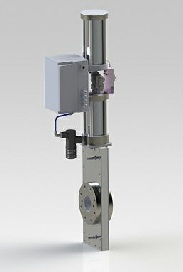 The RAPIV Isolation System is used to mechanically isolate a pipe or duct rapidly. Using plant compressed air (without the need for pyrotechnic actuators or gas generators), the RAPIV range of valves quickly establish an impenetrable meta barrier. Sparks and/or burning particles are arrested before they can propagate to other parts of the process. Conveying air and combustible powder feeds are immediately shut down independent of any conveying systems. 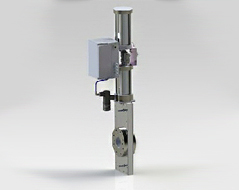 RAPIV Isolation Valves are constructed to be pressure resistant to >10 barg. Using PTFE seals the valves present a sealed full bore resulting in no pressure drop. Using compressed air at 3.5 to 5.5 barg, the isolation valves incorporate a standby reservoir which is continuously monitored for pressure. In the event of a dropping pressure or system fault, the valve automatically closes.